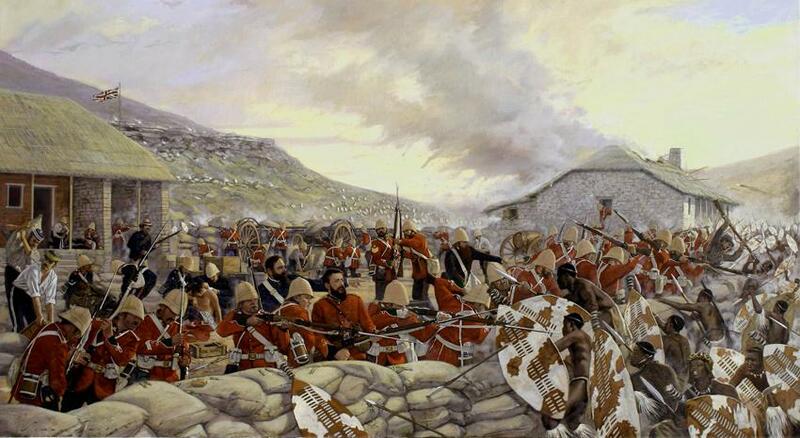 The Battle of Rorke's Drift, also known as the Defence of Rorke's Drift, was an engagement in the Anglo-Zulu War. The successful defence of the mission station of Rorke's Drift, under the command of Lieutenants John Chard of the Royal Engineers and Gonville Bromhead, followed Britain's defeat at the Battle of Isandlwana on 22 January 1879 and continued into the following day. Just over 150 British and colonial troops defended the station against attacks by 3,000 to 4,000 Zulu warriors. The massive but piecemeal attacks by the Zulu on Rorke's Drift came very close to defeating the much smaller garrison, but were repelled. Eleven Victoria Crosses were awarded to the defenders, along with a number of other decorations and honours.